Utility companies increasingly are attempting to persuade their customers to adopt products and services associated with smart grid investments. And they are finding that in order to effectively provide these products and services they must have a certain level of intelligence about their customers. At traditional utilities, this type of business intelligence has been historically limited. But since the inception of competitive markets in Texas, for instance, customer business intelligence has been practically mandatory for retail providers of energy. Why can’t traditional utilities learn how to obtain this intelligence by examining how retailers manage it? I had this question in mind when I recently approached Kevin Chase, chief information officer at TXU Energy. In 2007 TXU Energy became a retail provider of electricity without any electrical distribution or production assets as a result of the purchase of its parent company by private equity firms KKR, TPG Capital and Goldman Sachs. As part of the buyout, the electric distribution part of the company is now called Oncor Electric Delivery, the electric generation business is called Luminant and TXU Energy became solely a retail provider. I asked Chase how the business intelligence needs of a competitive retailer differ from that of a traditional utility. According to Chase, traditional, fully integrated utilities “own” the premise, the meter, the transmission to the meter and the generation that gets the power to the meter. “So, when traditional utilities think about business intelligence, it’s the full stack: efficiency, quality of service, reliability of service, and the customer care aspect. But the customer care aspect tends to be a very premise-centric view,” Chase said. 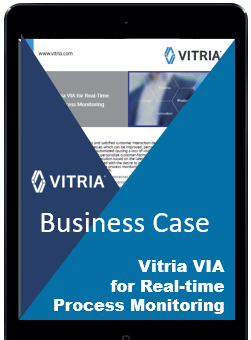 TXU Energy recently selected a business intelligence solution from Vitria to enable the company to have that full end-to-end view. “There’s so many `gates’ you have to go through in the Texas market,” Chase said. There are door-to-door channels (a common process in Texas to acquire customers), the hand-off from there into your internal customer information system platform, enrollment, getting the transactions out to the market, getting confirmation back, getting your bill print vendor to get a welcome kit out to the customer, Chase explained. Of course a business intelligence solution does not do the job alone. It can require significant database work and additional outside data being purchased, cleansed and merged with existing customer data. However, with traditional utilities increasingly examining ways to engage their customers, the customer-centric view that business intelligence solutions can provide should be of great interest to traditional utilities.